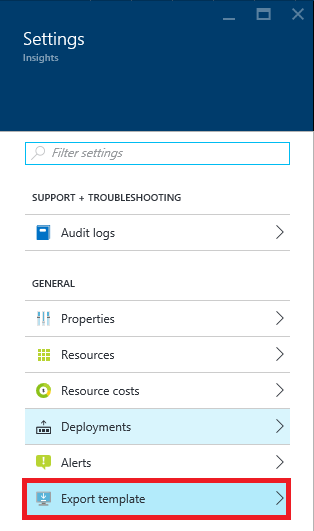 One of the great things about Azure is the possibility to Export Azure Resource Groups Templates. Each template is a json file containing the exact configuration of the services you’ve provisioned in a Resource Group. 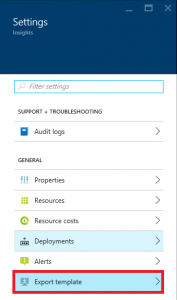 Using this templates you can treat your Infrastructure as code and repeatedly deploy your application during every stage of the application lifecycle in the same way, each and every time. 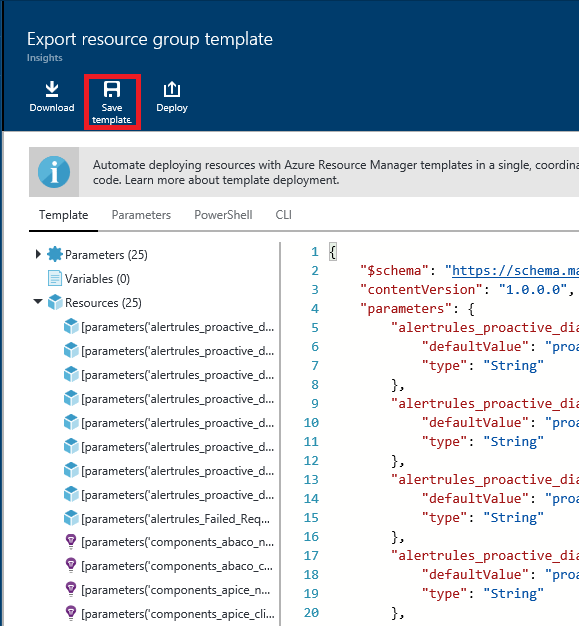 With the latest release of Azure Powershell now it's possible to export your resource group template using the following command: ``` powershell Export-AzureRmResourceGroup -ResourceGroupName [-Path ] ``` Using Microsoft Azure Cross Platform Command Line and the following command you can save the template for the specified resource group. 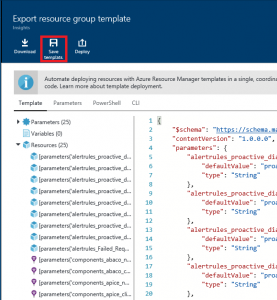 ``` powershell azure group export [directory] ``` **04/15/2016 UPDATE:** Now you can get the **.Net** code needed to automate your **Azure Resource Manager templates** deployments from code!! !